This is not the only company that built these instruments, though. There is a convoluted timeline that includes other builders -- Tokai and Dyna Gakki (there is that Gakki, again). And there is a bit of controversy about who made the “Crafted in Japan” versus the “Made in Japan” instruments and in what years, and the serial number conventions are hopelessly messed up. I think that people who say they know exactly what happened might be making it up just so they can get more hits on their blog. Fender’s website is certainly not any help. None of this really matters, as they are all really good instruments. If you are looking for the cream of the crop, go with a JV, A-prefix or E-prefix serial numbered instrument and you cannot go wrong. These were made between 1982 and 1987, and include some really cool instruments, including the Jazz Bass Special basses that Duff McKagan made famous. Today we are looking at a very good 5-string bass value: the LTD B-335. You know by now that I am not a 5-string kind of guy, but this thing is a really neat piece of work. In case you are not familiar with ESP, this Japanese company has been building amazing instruments wince the 1980s, and are the favorites of guitar gods such as Kirk Hammett and George Lynch. Unfortunately these guitars are ungodly expensive, so they introduced the LTD line to make their popular models more affordable for us common folk. The hardware, electronics, and wood are a little cheaper, and the labor costs are a lot lower as they are put together without using Japanese labor – this LTD instrument was built in Indonesia. Looking this bass over, the first impression is that the B-335 is a handsome instrument. It is not a Fender clone, and its unique body shape, pointy headstock, and see-through satin finish look pretty awesome. This LTD is a bolt-neck instrument with an ash body that has fairly aggressive angles and cutaways, and a super-long upper horn. The 6-bolt neck is a work of art, and I do not know how they can build something like this at this price point. It is a five-piece maple/rosewood laminate with a nicely figured rosewood fretboard, and there are 24 jumbo frets sunk into it. There are no problems getting to the upper frets, though bass players have no real business up there. The 34-inch scale neck has a very thin U profile, and it measures about 45mm at the nut (that is a touch over 1 ¾ inches, in case you are wondering). The electronics are pretty nice, with two ESP ASB-5 passive pickups and an ESP ABQ-3 3-band active EQ. These are wired through that are wired through a master volume knob, a pick-up blend knob, and three knobs for the EQ. This is a very pretty bass, but the see-through brown finish might not be everybody’s cup of tea – it kind of screams “Warwick.” It is put together exceptionally well, particularly when you consider it does not cost very much. The fretwork is good, the neck is straight and the finish is nice and even. The neck pocket is clean and it came with a good set-up right out of the box, too. It plays well, and the neck is very fast with good access to the upper frets; I did not find any buzzing or dead frets. The neck feels much smaller than the usual five-string neck, and would be good for players with small hands. As an added bonus for smaller players, this thing weighs in at 7 pounds, 3 ounces, which is featherweight for a fiver. The tonal options cover pretty much any style of music that you would want to use an electric bass for. 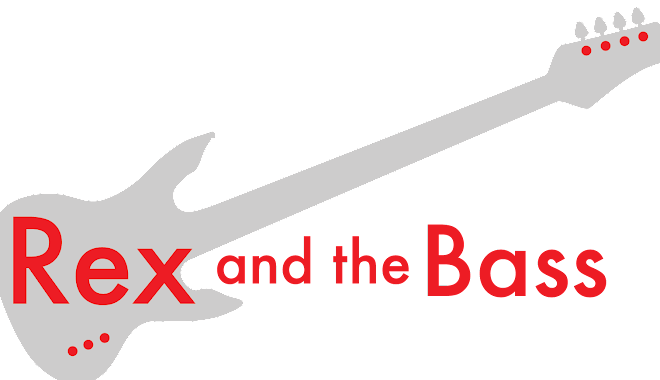 Rock, funk or metal, it does it all, and sounds pretty good doing it. There is a little hum, and I think some better pickups and shielding would make a noticeable difference, and it might be worth an upgrade if you like the feel of this thing. Other than that, this thing sounds solid with well-defined low B and sustain for days. The LTD B-335 is one of the best 5-string bass values on the market, with a list price of $713, and a street price of $529. But, it gets better as a lot of retailers are clearing these out for only $348, which is a killer deal for a well-made and very playable instrument. Check one out if you get the chance, you will not be disappointed! There are plenty of slickly produced records out there, but there is something special about a release that is recorded live in the studio with limited postproduction. 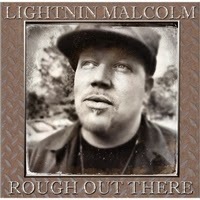 It allows the listener to hear what an artist really sounds like, and Lightnin Malcolm’s Rough Out There delivers an accurate snapshot of exactly what this man is capable of, and his abilities are impressive. 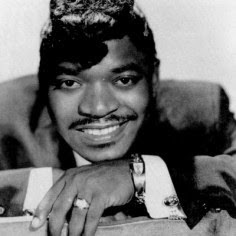 Steve “Lightnin” Malcolm is originally from Missouri, but as a teen he took out for the juke joints of Northern Mississippi where he worked relentlessly as a solo artist. With no other musicians to hide behind he had to sink or swim, so he persevered and learned how to fill a room with his voice, a guitar and some basic percussion. Of course there were great roles models out there, and he learned from the best, including R.L. Burnside, Honeyboy Edwards, and T Model Ford. Once he got his feet under him, he began collaborating with legendary artists including Cedric Burnside and the aforementioned T Model Ford as well as performing with the North Mississippi Allstars. Rough Out There is Malcolm’s sophomore release and he took a few chances with it. Besides recording most of the material live in the studio, he also changed things up by bringing in a few friends to fill out the sound, plus all fourteen of the tracks are originals that were penned by him and a few of his buddies. But most importantly, these tracks represent a variety of genres that are rarely heard together in one package. On this album Lightnin provided the guitar and vocal parts, and a pair of drummers split the time behind the kit: Cam Jones and Stud (Carl White), who happens to be T Model Ford’s grandson. The opening track, “Working,” is a driving blues rock tune with heavy guitar work from Malcolm and sweet slide guitar from Luther Dickinson, his Allstars bandmate. Lightnin has a raspy vocal delivery that works well for this material, and he doubles it nicely with his guitar lines, which the listener will find to be a recurring theme throughout the album. He also takes the blues rock route on “So Much Trouble” and “Took Too Long,” whose lyrics support the usual blues causes: bemoaning the terrible state of the world and telling the woman that did him wrong to go back where she came from. Things are not so cut and dried when trying to categorize the rest of Rough Out There, as Malcolm is adept at mixing different genres into new creations while never losing touch with his hill country roots. Besides, when it comes down to it isn’t most modern music is somehow evolved from the blues? “My Lifes a Wreck” has a bit of rockabilly in it and “Dellareesa” has a Latin/island feel with well-arranged horns courtesy of David McKnight and Marc Oran. Their sax and trumpet can also be found on “Mama,” his modern take of the classic 1970s funky rhythm and blues songs. Lightnin pushes the envelope further by adding in reggae with “Reality Check” and two hip-hop songs: “Rough Out There” and “How Blessed You Are;” the latter includes auto-tuned vocals interspersed with his rap musings, which is obviously not something that is usually found on folk or blues records. This is quite a contrast with the Delta-tinged “Young Woman, Old Fashioned Ways,” the pedal-steel soaked country song, ”Givin You Away,” or “Chiefs,” a native American-influenced instrumental. He seems to be redefining folk music by including a little something from most every kind of folk you will find in the U.S. Rough Out There goes out on a limb with its amalgamation of genres and its mixture of traditional and modern sounds, but this collection works when it is looked at as a whole as it has a consistent feel throughout. Perhaps it is because the two drummers have very similar grooves and Lightning Malcolm is such a seasoned performer who knows how to please an audience. Or maybe it is because he had a hand in writing all of the songs and the album was recorded the old-fashioned way with live studio tracks. Either way, he has delivered the goods here, and it is definitely worth a listen. It seems like a month does not go by when I do not review some sort of BOSS effect pedal, so today we are looking at the good old OS-2 OverDrive/Distortion pedal. It is probably one of the most popular crunch pedals on the planet, and that is because it is a pretty good pedal that comes in at a reasonable price. What exactly does an overdrive distortion pedal do? Well, this one is a combination of two other popular BOSS pedals, the DS-1 Distortion and the SD-1 Super Overdrive. It lets users blend these two effects to provide sounds that are appropriate for blues or metal, and most everything in between. The OS-2 is a standard single-space sized pedal, measuring 2.9 inches wide by 2.4 inches tall by 5.1 inches long, and it weigh in at a touch under one pound. See? The metric system will never catch on as long as I am on watch! This pedal runs on a single 9-volt battery or it takes the optional BOSS PSA adapter. - LEVEL: adjusts the sound level when the effect is applied. It should be adjusted so there is no volume change when the effect is turned ON. - TONE: adjusts the tone of the modified sound. - DRIVE: adjusts level of distortion. - COLOR: adjusts balance between overdrive and distortion. That is it, and after a quick look through the manual you can put it away and never need it again. About two minutes of knob twisting will get you the tone you are looking for and then you can move on with your life. It might be one of the easiest to use pedals I have come across. The OS-2 works really well for guitar and just ok for bass due to the frequency range it is tuned to. I have used it with my Strat and Tele through my Twin Reverb, and was able to get a very bluesy tone with the COLOR knob more towards the overdrive side of things. Cranking the COLOR knob the other way with My Les Paul through a Bugera, I got a very crunchy hard rock/metal tone. It is surprisingly capable of working well with both single-coil and humbucking pickups. I did get a little hiss and hum when the distortion is cranked all the way up, but it was only noticeable when not playing. The COLOR knob is the magic part of this effect, giving it a tremendous amount of versatility, and it is the pot I fiddle with the most. Many blues bands choose a genre and sound and do not stray very far from what they have found success with in the past. But a few are willing to go outside their comfort zone and experiment with mixing genres and coming up with a new sound of their own. This is exactly what you will find with the Ghost Town Blues Band’s latest release, Hard Road to Hoe. If you pay attention to blues news, chances are good that you have heard of this group. This Memphis-based band has been to the International Blues Challenge the past two years, making it to the finals in 2013 and earning second place in 2014. The seven-piece group has been working since 2009 and this is their third album. 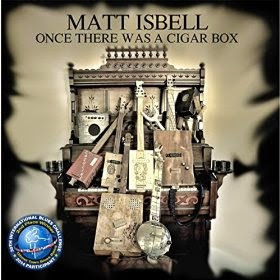 The songwriter/frontman is Matt Isbell, who takes care of the vocals and guitars (including cigar box guitars he makes at his company). He is joined by Preston McEwen on drums, Jeremy Powell on keys, Alex Piazza on bass, Suavo Jones on trombone, Richie Hale on sax, and Vicki Loveland with the background vocals. Hard Road to Hoe is the correct title, and I know you are saying to yourself “Wait, that should be hard row to hoe!” But their reasoning is that they are not farmers, they are musicians who work the highways as they travel to gigs around the United States and Canada – it totally makes sense in this context. The album has a dozen tracks, and they are all originals that are straight out of Memphis with a sound that spans from raw roots to slick blues-rock, and everything in between. They kick off this set with the title track which starts with hand percussion and an electric push broom (Isbell makes more than cigar box guitars), then morphs into a hill country rock tune with slide guitar and well-arranged horns. It is well written, and the lyrics are heavy and evoke feelings of loss. But this record is not a stone-cold bummer, from there they slide into “Big Shirley,” a boogie about a saucy lady that kicks off with Jeremy Powell doing his best imitation of The Killer on the piano. Both the piano and horns are signs of evolution for the band, as the roster has grown a bit since their last album, Darkhorse. Guest artist Brandon Santini brings his harp to two tracks, “Tip of My Hat” with naughty double entendres and a zydeco beat, and “My Doggy.” The latter actually includes a few vocal lines from Matt’s pup, Marry, which are used to good effect, and the tight horns of Jones and Hales bring it all together in a tight package. After a cool intro piece,“Mr. Handy Man,” the album moves along through another six songs, and there are no clunkers in the mix. After only 40 minutes (much too soon), Hard Road to Hoe draws to a close with “Road Still Drives the Same.” This song is somber with a beautiful accompaniment of slide guitar with just a touch of drums and organ. This was a clever way to bring things to an end as its theme of sad memories makes it a perfect bookend for the opener. 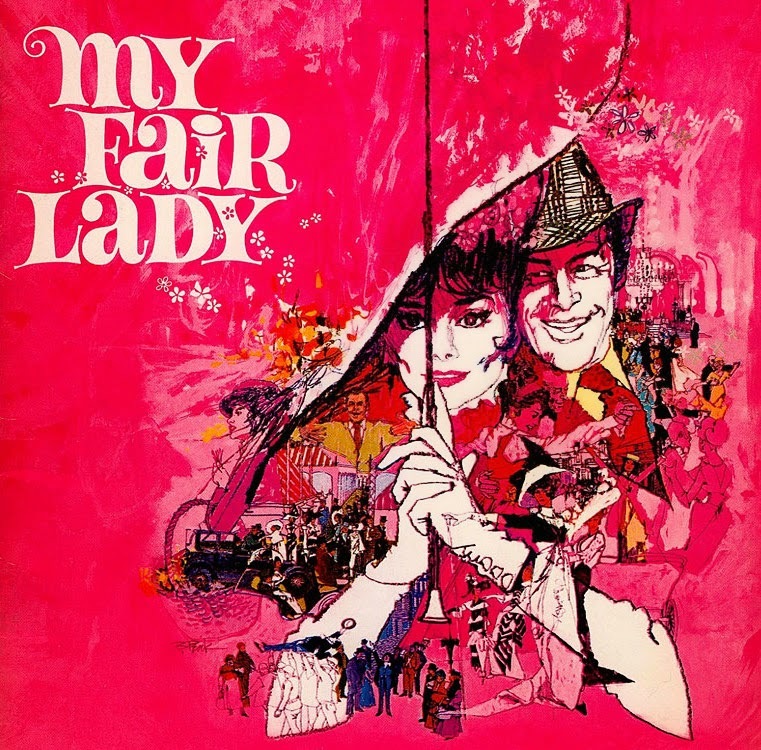 Even with its wide range of genres and tempos, this disc holds together well as a single piece of performance art and does not sound like a jumble of songs that were randomly stuck together. This is because the tracks are sequenced well, and the backline of McEwen and Piazza hold down the bottom end so consistently throughout. Also, the recording itself is top notch. The band went with Ken Houston (6 Grammy nominations) to record and mix the project, and his work on the 2-inch tape is nothing short of amazing. 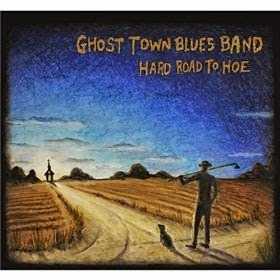 The Ghost Town Blues band should be proud of what they accomplished with Hard Road to Hoe, and this CD is a must buy for your collection. Check them out if you get the chance! Today we are looking at a super-fun Fender Champion 600 guitar amplifier. This is a re-issue of the original amplifiers that were built between 1949 and 1953. This is a pretty faithful reproduction of the original, although Fender said they have added a higher-gain pre-amp circuit to get more overdrive. I have never seen (let alone played) an original, so I will have to go along with them on this one. >The Champion 600 is a neat amplifier, and very light weight. It weighs in at around 15 pounds, and measures about 12 inches wide by 11 inches high by 8 inches deep. The 50s groove is going ON with the two-tone Tolex. The electronics are 1950s simple. This is an all-tube amp, with a 12AX7 pre-amp tube and a 6V6 output tube. The output is pretty low, putting out 5 watts at 4 ohms through the built-in 6-inch speaker. You can hook up a larger external speaker, should you wish. The controls are basic: 2 inputs (high and low gain), and a volume control. That is it -- you will have to do all of your EQ with the guitar or your pedal board. There is not much more to describe, other than the tone. This amp sounds great! It does not hiss or hum excessively, and it puts out enough volume for home practice or recording. It overdrives fairly quickly, which is great if you want some old-style blues or rock and roll at reasonable volume levels. It sounds equally fabulous with my Strat or my Les Paul, and it is a bluesy little amp. Of course, it does not hurt that the Champion 600 is very affordable. It looks like it has been discontinued, but many sellers still have them for around $199.99. And, it looks like you can find used ones for about $150 on eBay, but be careful as these are popular amps to mod, and you might not know exactly what you are getting into. Not many DVDs make their way in here for review, and there has never been one in my mailbox quite like Once There Was a Cigar Box, a short film by Alexander Conrads from Germany. It is about the Memphis Cigar Box guitars that are handmade by Matt Isbell, the frontman for the Ghost Town Blues Band. It is a short film (ten minutes for the main event), but they manage to condense the construction of a guitar into a few minutes, and then take that same instrument to Beale Street for a gig at Rum Boogie’s Blues Hall, where it sounds amazing in Isbell’s capable hands. The construction process is fascinating, both with creativity in the materials chosen, and with the use of power tools in ways that they were probably not intended for in the first place. His shop is a glorious collection of boxes and parts, and as he assembles the guitar it is apparent that he has built a lot of these – he has it dialed in! Matt narrates the disc, and he talks about his background, as well as a bit about how he runs his business with the help of his wife, Lisa. Of course there is no talk about money, but I imagine his self-run luthier shop is a bit more lucrative than gigging, even though his band is amazing and scored a second place at last year’s IBC in Memphis. By the way, a review of their new album, Hard Road to Hoe, is forthcoming. The video is clear and steady, and Conrads has a good eye for composition and lighting. The editing is top-notch, so I have nothing to complain about here, except that I wish it could have been longer! As an added bonus, there are three song videos on the disc too, and they are all really fun tunes that feature Matt and a couple of friends jamming out. Every guitarist remembers their first instrument and how they got it and Joseph Cannizzo is no exception: in 1971 his dad (a New York City sanitation worker) brought home a guitar that somebody had tossed out with the trash! Joseph was only ten, but he took to it and by the time he was sixteen he was playing clubs around the tri-state area. By the mid-1980s he was living the dream and traveling around the world with his music. 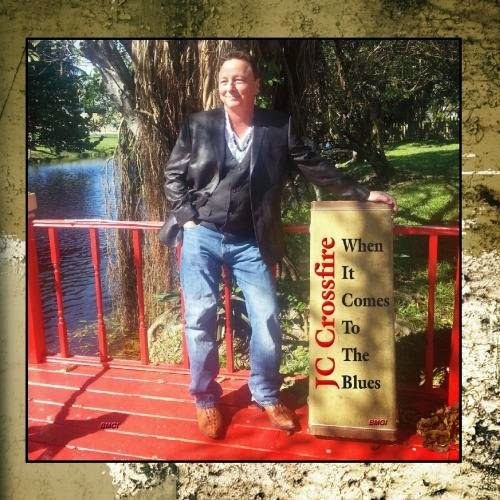 In 1994 JC put together Crossfire, originally a Stevie Ray Vaughn tribute band, which was a cool project that evolved into him creating his own music. Now based out of the North Miami area, his band’s latest release is When It Comes to the Blues, a righteous set of nine original songs, mostly penned by Cannizzo. He also handles the guitars and vocals and is joined by Tony Calabria on bass and vocals, Bernie Rose on keyboards and vocals, Niles Blaize on harmonica and Guido Marciano behind the drum kit. 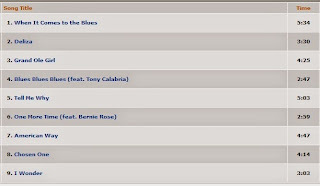 The title track comes up first, and it gives the listener an idea of what JC is all about, most importantly who some of his guitar influences are, and I am glad to see that Matt “Guitar” Murphy made the list! This is straight-up blues with a catchy acoustic intro that leads into a slow electric grind featuring fine harp work from Blaize. “Deliza” (with four syllables) is up next with a stomping bass line, JCs whiskey voice and classic organ sounds. JC shows mature musicianship here; though he has great guitar chops he does not feel the need to show off and instead lets the lyrics make the song. There are a few party-friendly blues tunes on the CD: “Grand Ole Girl,” “One More Time” and “Blues Blues Blues.” The latter has an awesome bassline and one of the catchiest choruses around that features some really fun vocal harmonies. If you need some blues to dance to this is the song you have been looking for! 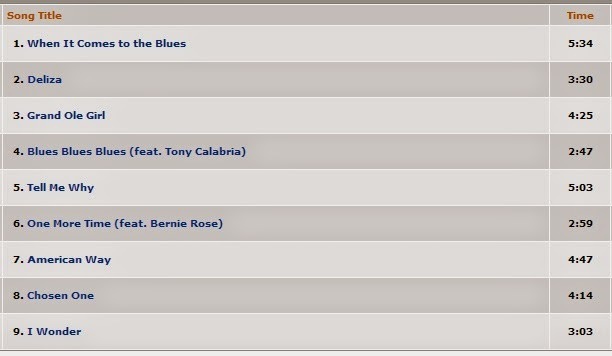 “Tell Me Why” is the standout track from When It Comes To The Blues. This slow blues rocker is full of reverb-soaked guitar and plaintive harmonica wails and it has a slick format change midway through. JC lets it all hang out on the guitar, and it is easy to tell that he has put in more than his share of practice time in the 40 years since he got that castaway axe. But more importantly, his strong voice is also in the spotlight and this song ends up sounding like something Led Zeppelin would do have done, but without their vocal histrionics. A close second for my favorite song is “Chosen One” which is a hard southern-tinged blues rocker with some of the heaviest guitar you will find on this album. His six-string is thrust to the forefront by the super-tight backline of Marciano and Calabria, and they leave enough room for JC to do his work properly. The lyrics are not all good times and love gone bad, though. “American Way” pines for the way things used to be as we all struggle these days to make ends meet. It starts out with a trick kick drum beat and has a heavy dose of funk thanks to the 1970s-issue bass and organ sounds. The background harmonies of special guest Lisa Maviglia is a welcome addition and provides a little more depth. This track provides a cool break near the end of the album and lets the listener know that JC has more than a few things on his mind. Unfortunately, after only 36 minutes the album comes to an end (much too soon), but I like that he used “I Wonder” as the closing track. This smoky slow blues ballad has the perfect vibe to accompany the tale of a stormy relationship, and Bernie Rose is given a free hand to perform his piano magic. His interplay with JC’s tastefully reserved guitar improv is a sweet way to end things up. When thinking about musical theatre, it is a shame that modern audiences are not more familiar with the works of Gilbert and Sullivan. Fortunately, the New York Gilbert & Sullivan Players keep the legacy alive, as they take their shows to the stage in the Big Apple, as well as around the US. 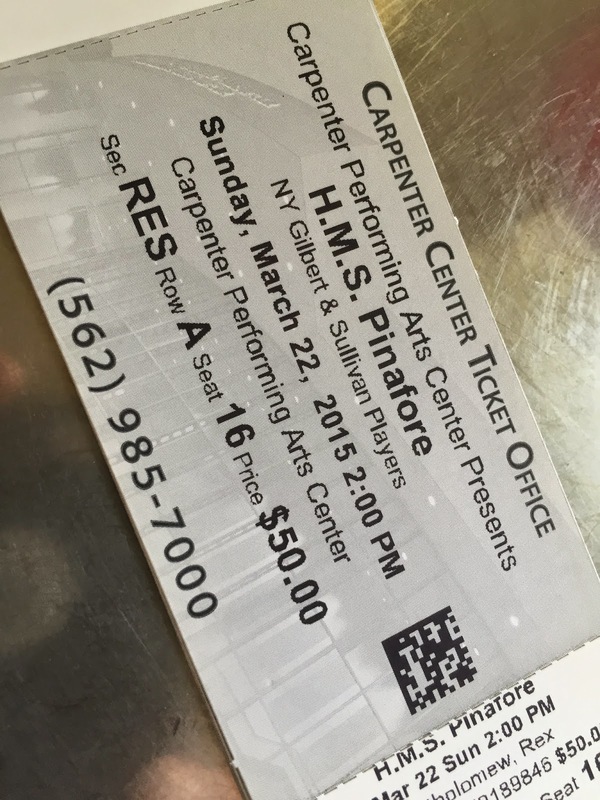 I recently had the pleasure of seeing their production of H.M.S. Pinafore at the Carpenter Center in Long Beach, California. This location was a great choice as the Richard and Karen Carpenter Performing Arts Center at Cal State Long Beach is a lovely venue with plenty of conveniently located parking. Each of the 1000 seats has a good view of the stage (without being too far away) and the acoustics are very good. 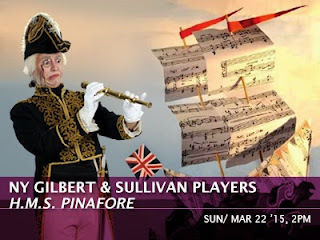 The New York Gilbert & Sullivan Players have been around since 1974 (or 1975, depending where you look), when the group was founded by a group of alumni from the Barnard College Gilbert & Sullivan Society at Columbia University. One of these folks was their biggest proponent, Albert Bergeret, Founder and Artistic Director/General Manager. 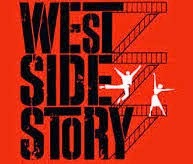 Besides their full productions, they also conduct many outreach performances to student in NYC schools. The overall themes of class inequality, overbearing nationalism, and foolish are still relevant, and they are presented with Gilbert’s inimitable linguistic genius and Sullivan’s knack for writing addictive melodies. The NYGASP brought all of this to Long Beach for one lonely matinee, which seems like a lot of work for a single show. They brought the full cast, the crew, a 25-piece unamplified orchestra, and an impressive set of sets and backdrops. 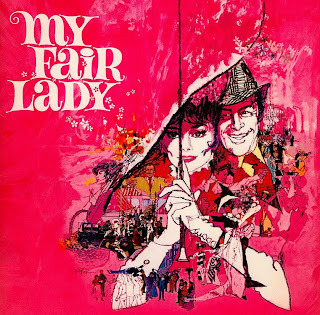 They were faithful to the music of the show, and the book was modified a bit to bring some local flavor to the production, as well as to bring the orchestra and Mr. Bergeret (the musical director too, it seems) into the stage action. Visually, Pinafore is an attractive show. There is only one set, but it is a fairly detailed replica of a ship’s deck, complete with rigging and huge masts, so it must be a bear to drag around and set up. The lighting was classy and brought the scenes to life, courtesy of designs by Benjamin Weill. For the most part, the cast was not amplified, but there must have been some sort of microphones set up near the back of the stage, as the volume of the vocals varied quite a bit as the cast moved back and forth. They might want to work on this a bit. The costumes were also well done, without going over the top. The sailors’ (tars, as the would say) and officer’s uniforms seemed period correct, as far as I would know; the ladies’ gowns were also very pretty, with more than enough bustles to go around. The cast embraced the spirit of Gilbert & Sullivan perfectly. They are all capable singers and dancers, but that is not really what this show is about – the acting comes first. 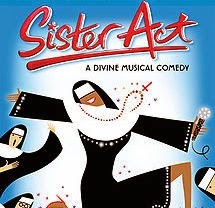 They have great comedic timing, and are able to spit out the uber-complicated lyrics with no missed cues. The leads all gave satadnout performances, and the players included David Auxier as Captain Corcoran, Kate Bass as Josephine, Daniel Greenwood and Ralph Rackstraw, James mills as Sir Joseph Porter, and Angela Christine Smith as Little Buttercup. All of them are very experienced with the Players, and some have actually appears in all 13 G&S operas. Impressive! If there was anything that brought me down about the NY Gilbert & Sullivan Players’ production of H.M.S. Pinafore, it was that the auditorium was only 2/3 full, and there were not many young folks in the crowd. Where are the new fans going to come from? If you have not seen one of these shows before, take the time to check one out the next time one comes up in your area – it will definitely be worth your time! Check in again on July 1st to see what is still around. As always, you know it will be different!